These four books were all primary sources for my Americans Discover Vacation series of posts. Each is reviewed below followed by an index of the Americans Discover Vacation posts. 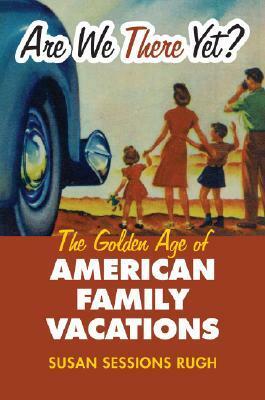 The author describes the history of vacations in America from roughly 1800 to 1940. That time period starts as the idea of vacation first makes an appearance and ends at the point when most Americans expect to spend some time vacationing. Arum traces the socio-economic history of vacations, starting with the nation’s elite and gradually finding its way to all classes and all types of people. She also follows the theme of how a nation of people whose forefathers subscribed to the Protestant ethic of work had to overcome or circumvent some of their beliefs in order for vacationing to become part of the culture. Arum believes that to this day the way we vacation is impacted by the ambiguous attitude of Americans toward leisure. I would have liked a little more color. More detail about certain individuals’ vacations or maybe a broader description of what life was like at some of the typical resorts of the different eras. The book is written as an academic text. It is thoroughly researched and comprehensive in its coverage. If you are interested in the subject, you’ll like the book and find it interesting. I became interested in the history of vacations in America after staying at a 145-year-old mountain resort and a beach hotel which is almost 200 years old. This is the best source I’ve been able to find to fill in the historical perspective of those resorts. 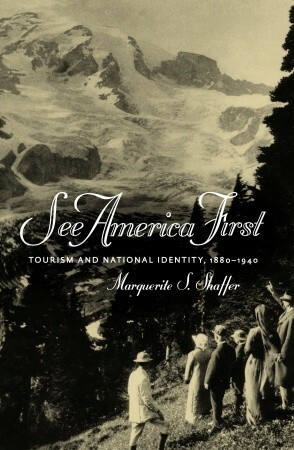 A study of the role of nationalism in the growth of tourism in the United States. Or, stated another way, how tourism was marketed as an expression of nationalism. Covers the period of 1880-1940, with emphasis on the first couple decades of the 20th century. The title “See America First,” could perhaps be part of a longer phrase along the lines of: before you even think of going to Europe you should express your sense of citizenship and see America first. For many of the travelers who are the subjects of this book, that meant heading west. America, having only a bit of history and a chip on its shoulder over the perceived cultural superiority of Europe, had one thing to counter that. Landscape. Stunning, beautiful mountains, canyons, lakes and rivers. I was interested in reading about the development and growth of the national parks and surprised to find out that it was largely triggered by the railroads. In the late 19th and early 20th century several large competing railroad corporations sought to steer travelers their way by not only touting but often developing attractions along its routes. I was also fascinated to read about FDR’s depression-era white collar relief program that included a $6 million allocation for the Federal Writers’ Project. They produced a series of state-by-state travel guides with some 10,000 writers participating, including John Cheever, Saul Bellow and Ralph Ellison. In the so-called New World there was no Rome or Jerusalem to set forth toward on a pilgrimage. We have no grand cathedrals. So in this author’s view, we created our own “Sacred Places.” What raw material did we have to work with. Scenery and stunning landscape. 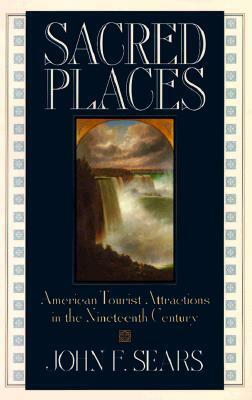 Sears describes the reverence which 19th century intellectuals, artists and tourists bestowed upon that era’s emerging tourist attractions. They were Niagara Falls, the Hudson and Connecticut Valleys, Mammoth Cave, the White Mountains, Yosemite and Yellowstone. He does not cover the resorts that were not based on scenic wonders. No one, for example, has probably ever associated Atlantic City with any level of sacredness. One of the strengths of Sears’ book is that at least for a few of the resorts he gives a very good impression of what it must have been like to visit in the 19th century. This is particularly true of the chapters on Mammoth Cave in Kentucky and the early years of Yellowstone National Park. I also was interested in his description of how commercial interests, shops, sideshows and circus entertainment, began to overrun Niagara even at this early stage. This is not as comprehensive a source as either “Working at Play” or “See America First.” But it’s well written and an easy read. There is one chapter that seems incongruous about prisons, asylums and institutions for the physically disadvantaged. Apparently these were also tourist attractions in the 1800’s. Strange times. The author introduces the book by describing how she and her sisters sat in the back of the family camper as they headed west toward Yellowstone. Apparently the girls weren’t that keen on having their card game interrupted to catch a glimpse of the Tetons. While she was headed west I was headed south at the time. My dad tried to keep my sister and I occupied in the back seat by plugging a TV into the cigarette lighter. If you grew up in the 50’s or 60’s you’ll find a lot of this pretty nostalgic. Rugh goes into great detail about the standard family road trip: the types of travel games that could occupy restless children, the stuff Dad had to do to get the car ready and the type of food Mom would bring along for the ride. But the book isn’t all fun and games. Rugh describes the obstacles that black Americans faced when they too wanted to be part of “The Golden Age of American Family Vacations.” For black families on a road trip through unfamiliar territory, they never knew if they would find a motel that would accept them, a restaurant that would seat them or even a restroom they could use. Rugh documents how the response and protests of black families to this discrimination played a role in the eventual passage of the Civil Rights Act of 1964. 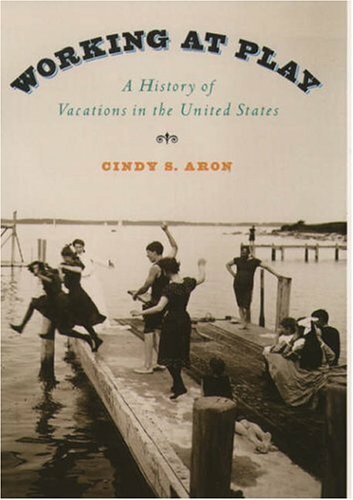 In doing research for this series of blog posts I’ve read several texts on the history of American vacations recently. This one is the breeziest read and the one that is most likely to interest a broader audience. Not all history professors are good writers. Rugh is. This entry was posted in Americans Discover Vacation, Book reviews, History, Travel and tagged 19th century, books, history, nationalism, road trips, tourism, tourists, travel, vacation. Bookmark the permalink.